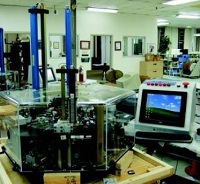 Sartrex continues to provide health physics solutions to customers around the world. With safety always being the primary concern of operators of nuclear power stations, professors experimenting with tritium, and corporations commercializing applications of tritium Sartrex’s Tritium in Air Monitors are trusted to provide early detection of contamination. Two examples of Sartrex’s health physics expertise can be see in the case studies section. A dockside radiation monitoring system has been deployed in multiple locations for the Canadian Forces to monitor radiation from Nuclear Powered Vessels. Sartrex designed and manufactured a Dosimeter solution for Health Canada to protect employees from prolonged exposure to radiation. The Sartrex Model 209L is one of the world’s premiere Tritium-In-Air monitors. Users worldwide appreciate its functionality, portability and reliability. 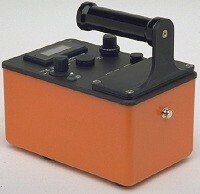 The rugged aluminum housing ensures reliable operation in the most demanding of environments. 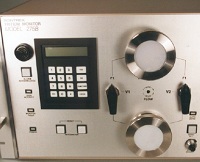 The clear digital readout allows the operator to take error-free readings at a glance. The Model 209L series has proven to be invaluable in detecting tritium hazards in heavy water reactors, tritium production plants, tritium upgrading plants and fusion research facilities. 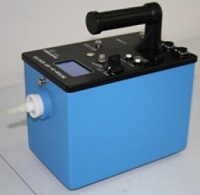 This unit has an excellent reputation for functionality and reliability in normal health physics applications wherever there is a distinct need for a portable instrument that will monitor tritium-in-air within a reasonably wide range of concentration. The Model 309B (LD) Portable Tritium-In-Air monitor adds a new dimension to the versatility of monitoring instrumentation for the Nuclear Industry. The only true dual purpose instrument in the industry, Model 309B (LD) enables you to use the monitor as both a continuous remote area monitor and as a hand-held unit ensuring absolute flexibility. Introducing this monitor in the ensemble of standard portable devices for health physics applications adds strength to the overall capability for tritium monitoring. Through its microprocessor intelligence and automatic range switching, the 309B(LD) permits tritium measurements in the range 1μCi/mi to 200,000 μCi/ml. Additional built-in features include concentration displayed in any one of four pre-selectable units, analog output (lin and log), remote monitoring capability via an RS-232 port, pre-settable alarm levels and external power supply operation. The Dockside Radiation Monitoring System is a custom designed radiation detection system that is positioned beside visiting Nuclear Powered Vessels (NPVs) to measure gamma radiation. A Base Station and up to 3 Remote Monitors inland continuously monitor any gamma radiation emanating from the NPV lf radiation from the NPV increases beyond a preset level, the system goes into alarm mode and initiates the Nuclear Emergency Response process. 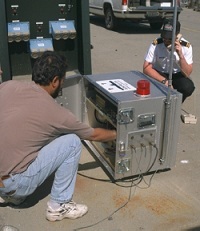 This system has been installed at three sites in Canada: Canadian Forces Bases at Halifax and Esquimalt, as well as at the Maritime Engineering Test Range, at Nanoose Harbour, BC. The DMS is an integrated system which consists of a sensor—and- alarm-suite (SAS) for radiation detection and a base station (BS) for remotely monitoring, analyzing and displaying dosimetry measurements. Radiation data captured at the dockside by the highly sensitive SAS sensors are transmitted to the BS communication hub (CH), and then to several remote monitors (RMs) located in the local area at National Defense Headquarters, all using standard telephony technology.